A self-catering holiday home with private and enclosed garden near Dinan, located in a pretty country setting in Brittany and an ideal location from which to visit medieval Dinan, St Malo and Mont St Michel. 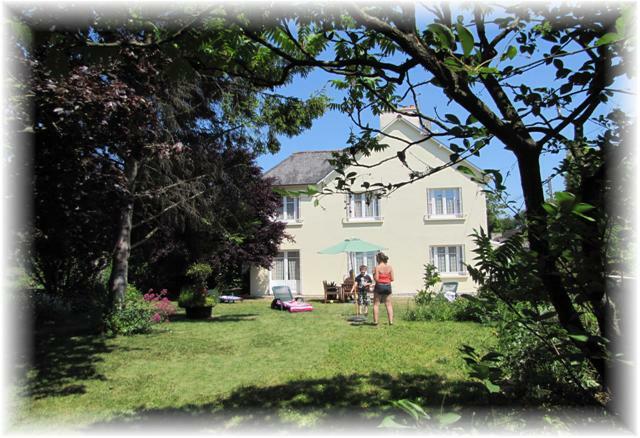 Sleeping a maximum of 6 people this gite provides an excellent holiday location for walking, golfing, riding, mountain biking, fishing and many other outdoor pursuits, or for just sitting back and soaking up the relaxing French way of life! 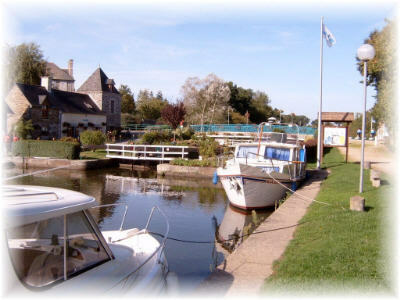 For those seeking the countryside peace, there are opportunities for country walks around the pretty lanes that surround the gite or along the canal that runs through the town nearby. For families there are plenty of distractions for the children, as the villa has a play area in the safe and enclosed garden and the accommodation is baby, toddler and child-friendly. With changing table, baby bath, cot, high-chair and safety gates fitted at the top and bottom of the staircase our Brittany gite is perfect for families with babies and toddlers and even for families traveling to Brittany with twin babies. 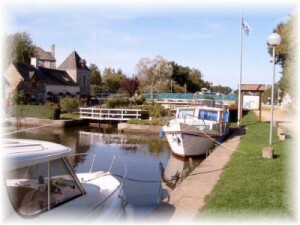 The picturesque town of Evran is 2 km away from our gite and medieval Dinan in Brittany, the port of Saint Malo and the airport are only a short drive away. 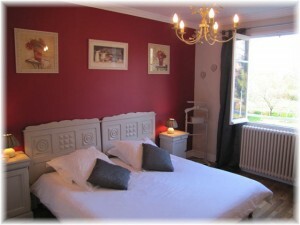 Although it has this convenience, the location is secluded and peaceful and in the heart of the Brittany countryside. Our Brittany gite is the perfect self catering accommodation for family reunions or friends get-togethers. The owners live on site and having local knowledge are happy to recommend local restaurants, activities, etc. Not only will you feel free from all the daily grind of home but a sense of belonging will transfer you back to nature. Whilst following the lawn through the mature trees, which give plenty of shade on those hot summer days, the perfume from the wide variety of plants and flowers permeate your senses, with natural aromatherapy. Toddlers and children will enjoy the slide, swings, and will have plenty of space to burn off all that energy, all within the safety of a wall that encloses the entire garden. The garden is fully equipped with sun loungers and furniture. A barbeque is available for use. 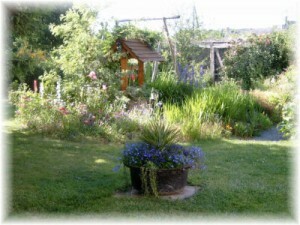 There are secluded areas to sit and read, laze or just dream in either sunshine or shade. The villa even has its own boules pitch. 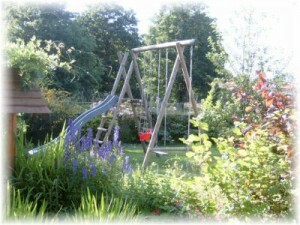 The gite has 2 off-road private and secure parking spaces.